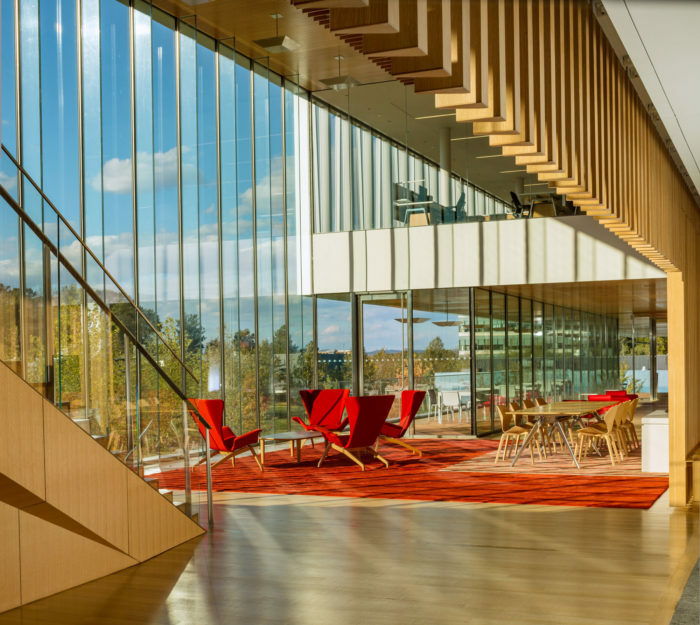 At the North American headquarters of global healthcare company Novartis, a 140,000-square-foot oncology office building designed by Weiss/Manfredi connects five floors of open work areas with an ascending spiral of double-height public spaces, nicknamed “living rooms,” that overlook the surrounding campus. Marked by column-free spans, the building’s interior spaces read on the exterior as a series of voids carved into the glass volume. 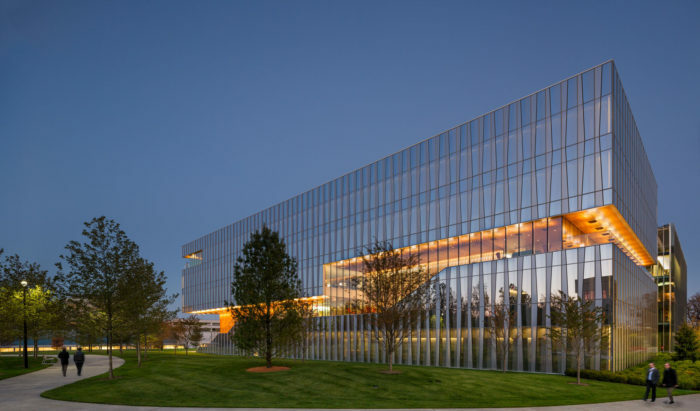 The building is clad in a laminated glass fin-supported insulating glass curtain wall composed of alternating acid-etched, reflective, and low-iron glass, mirroring the variable colors of sky and landscape throughout the day. 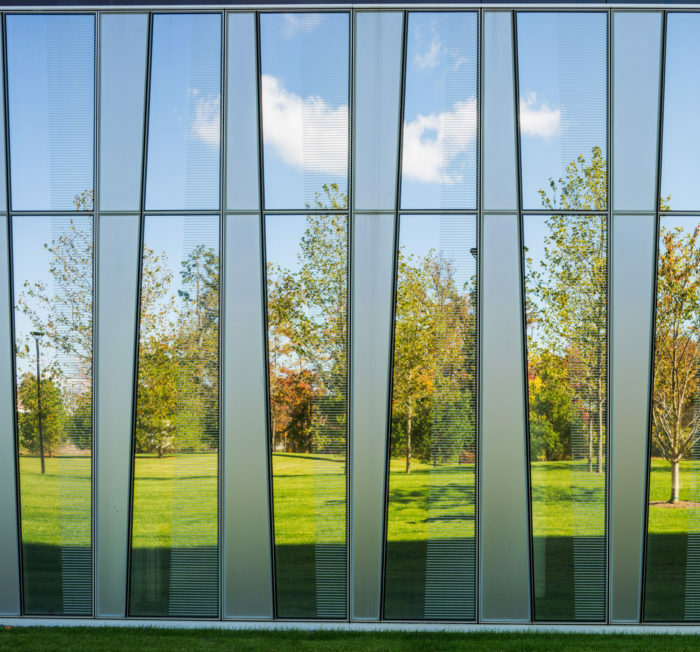 To emphasize the building’s verticality, a shadow box conceals its floor slab and creates the necessary fire separation for the building envelope. The effect required careful drawing studies and mock-ups to achieve a complex geometry that would eliminate spandrels and other indications of the floor plates on the exterior. 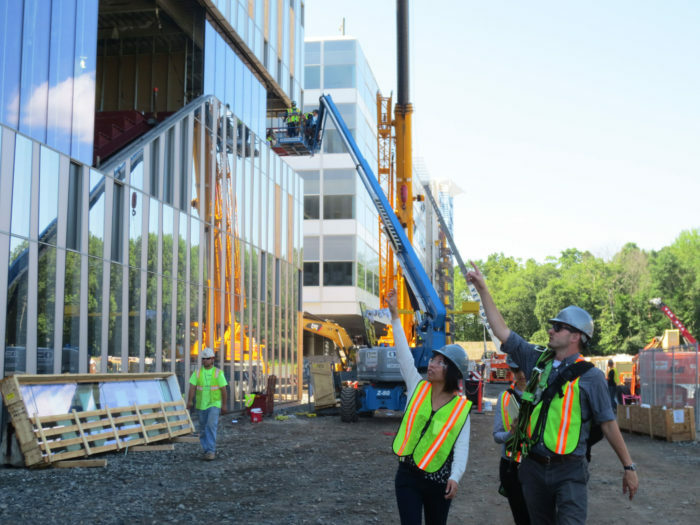 Structural gymnastics added to the curtain wall’s complexity. 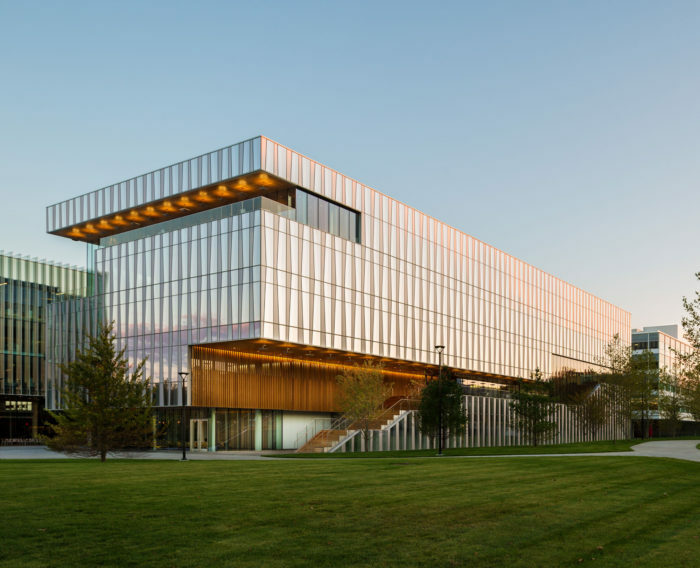 To create the generous column-free spaces within, the top floors of the steel-framed building are suspended from 100-foot-long plate girders that cantilever 30 feet on each side. On the exterior, a void expressed at the third level gives this upper portion the appearance of sitting lightly atop the lower floors. 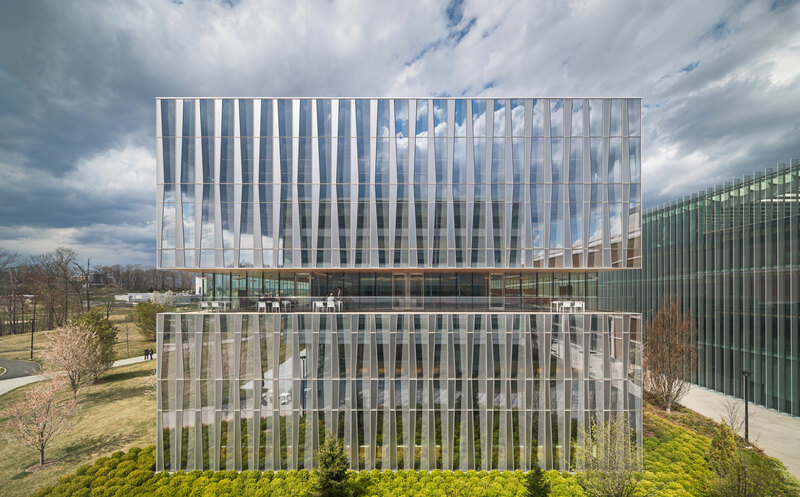 The structural conditions create deflection throughout the upper portion of the facade, necessitating movement joints at the top of each 20-foot-high glass support fin. Photographs 1-7 by Paul Warchol; Photograph 8 by Heintges.